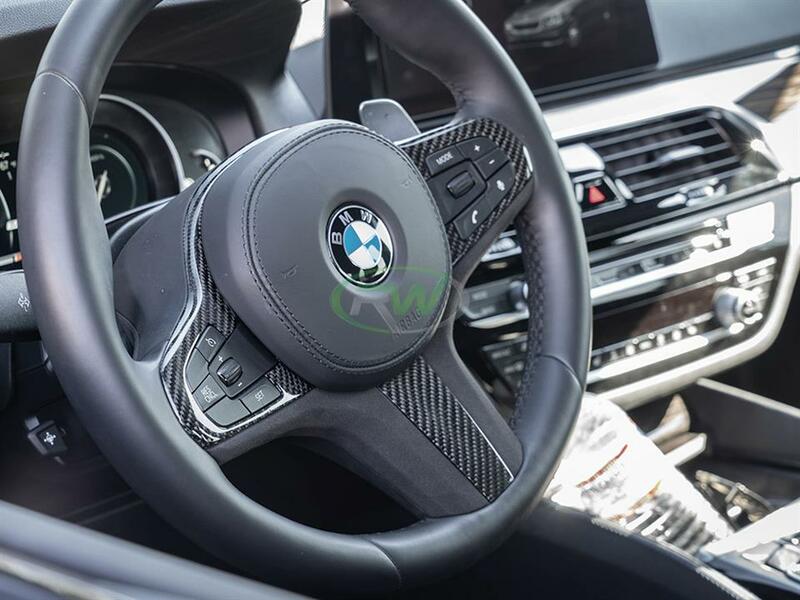 If you are looking to add some interior Carbon Fiber to your BMW G30, G31, G32 then this is the perfect option for you. 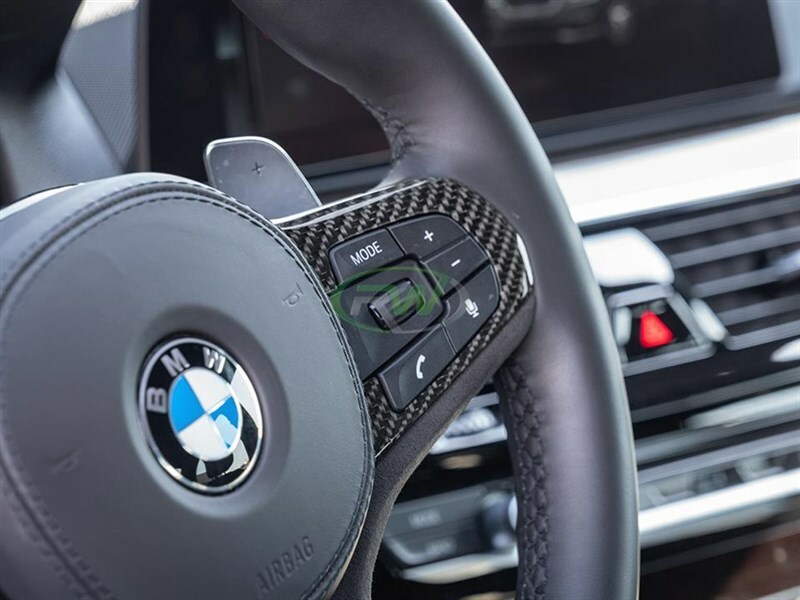 Introducing our brand new BMW G30, G31, G32 Carbon Fiber and Alcantara Steering Wheel Trim! This piece is easily installable using the factory mounting locations to ensure that this trim will fit very well. 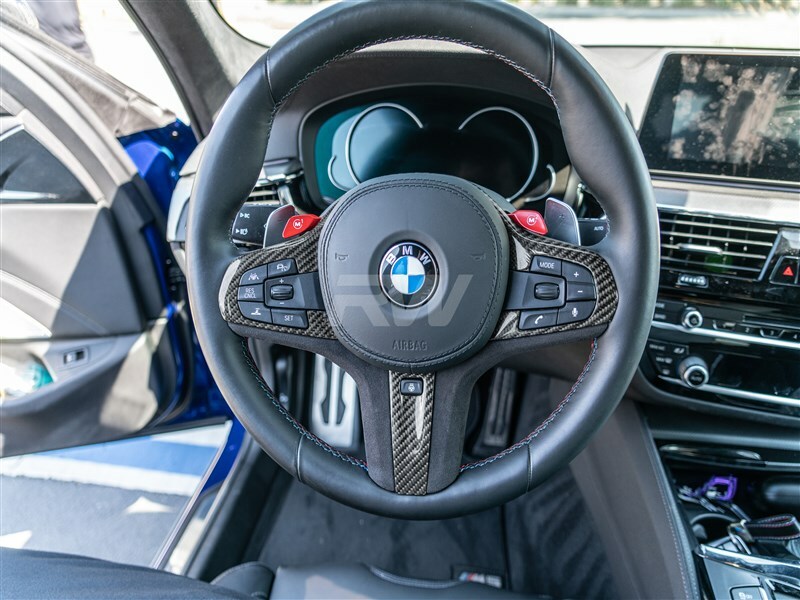 The carbon fiber in this piece is a genuine 2x2 weave to ensure that the carbon fiber is durable and matches any OEM carbon fiber already on the car. 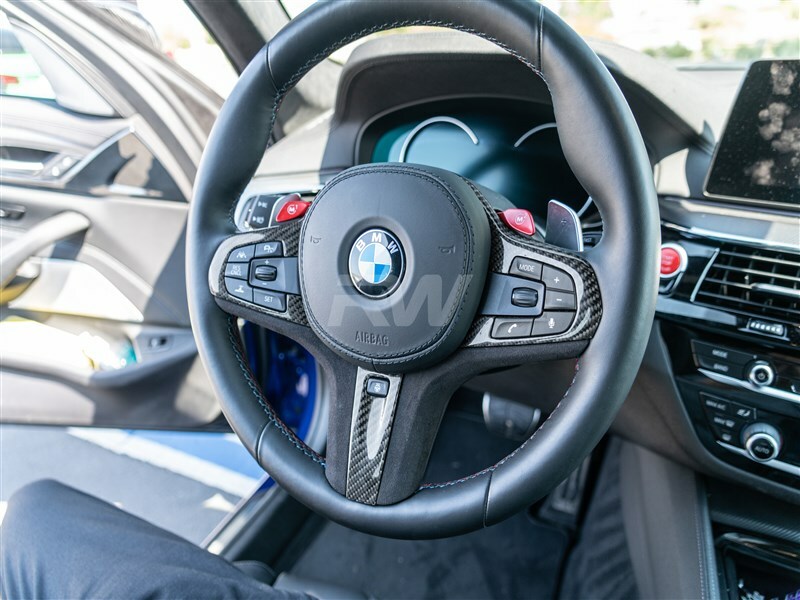 All of our products are finished with a durable clear coat to fight against any fading that could occur. This G30, G31, G32 BMW carbon fiber and alcantara steering wheel trim replaces your existing OEM steering wheel trim. 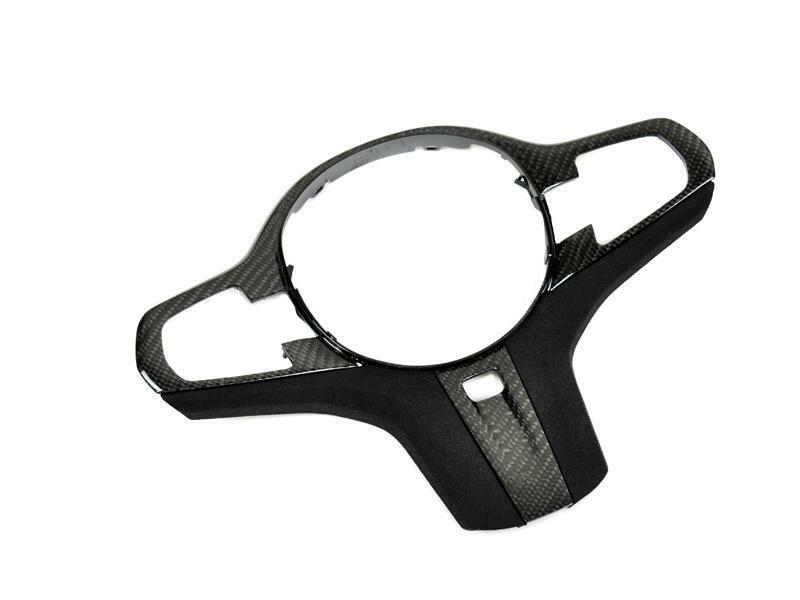 RW Carbon suggests you install this piece at a professional shop.